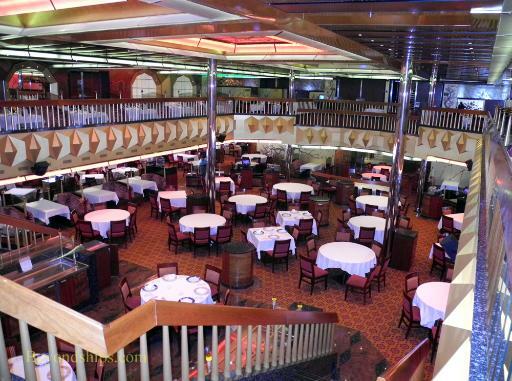 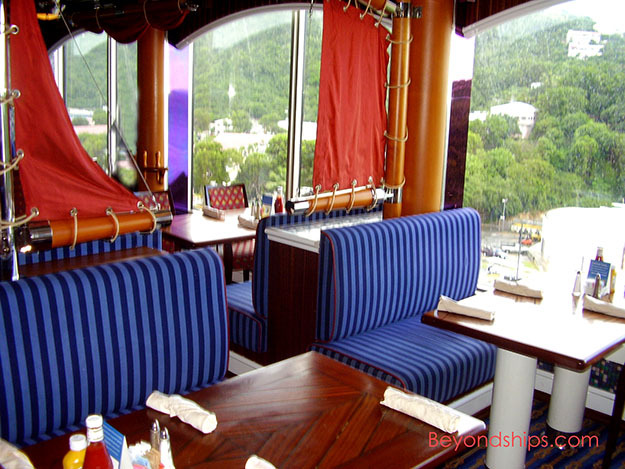 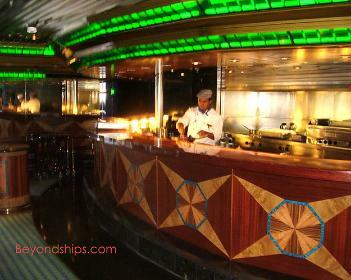 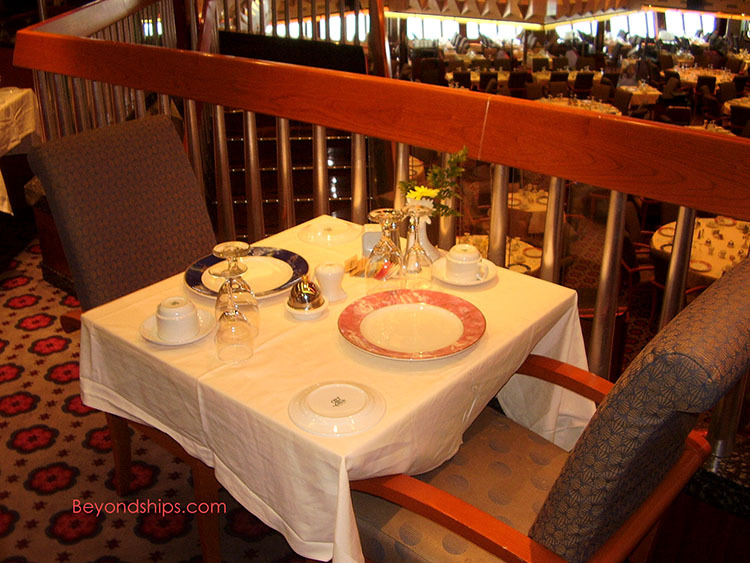 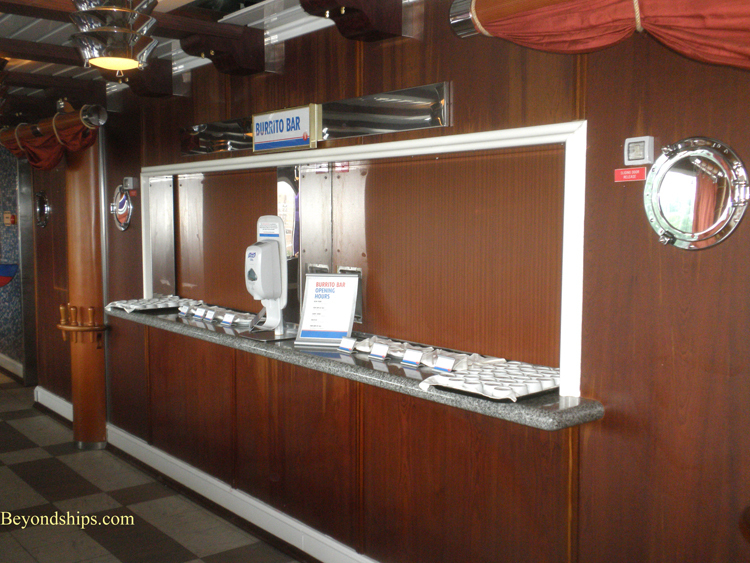 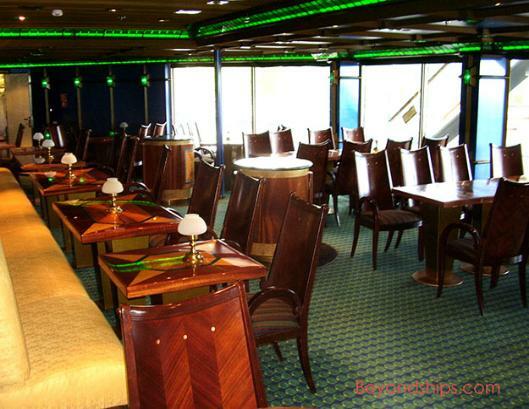 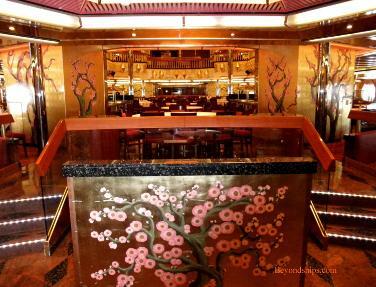 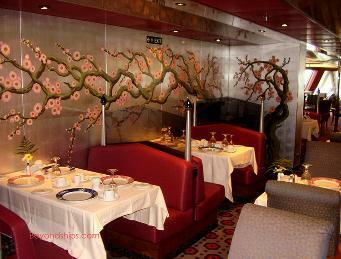 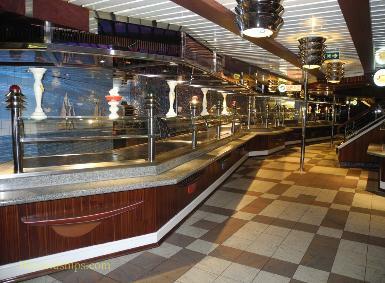 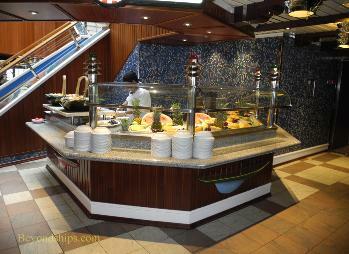 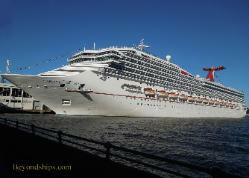 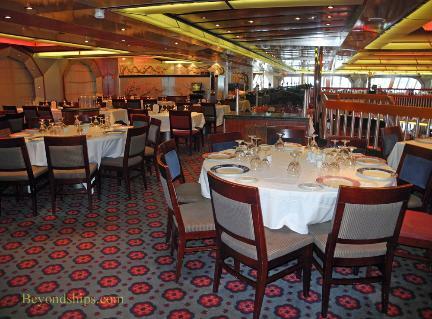 Carnival Glory has two main dining rooms. 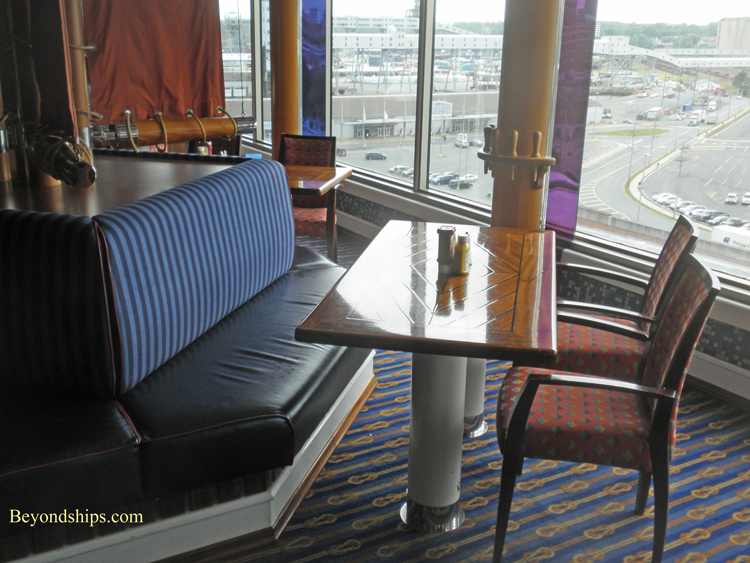 This dining room is open for breakfast on port days. 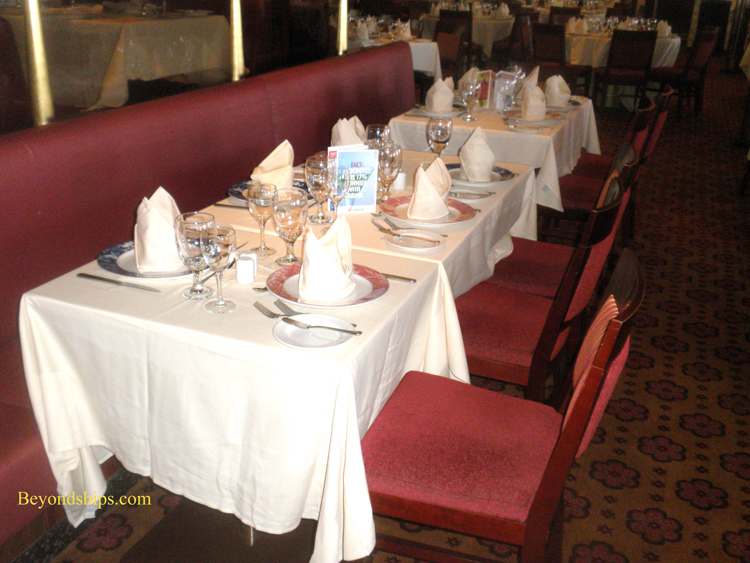 during which comedians perform while guests dine. 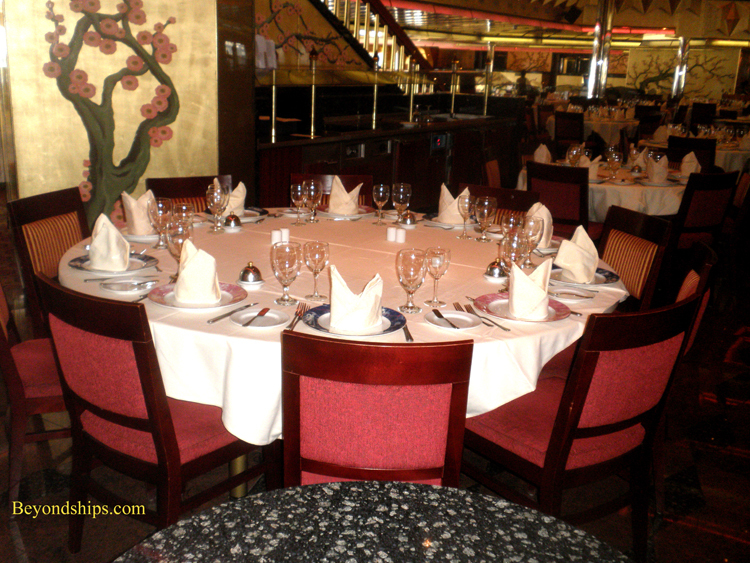 is assigned to a table in one of two dinner seatings. 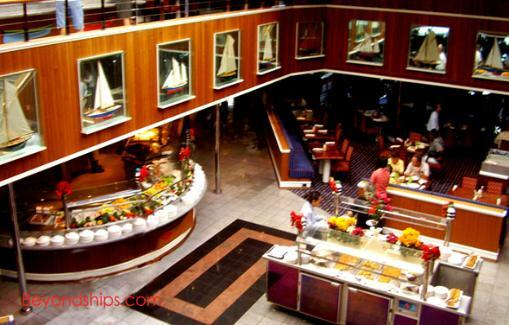 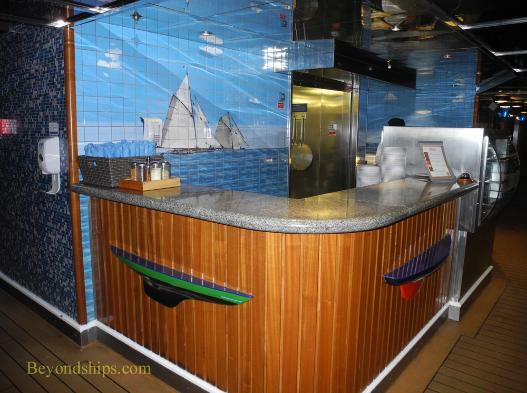 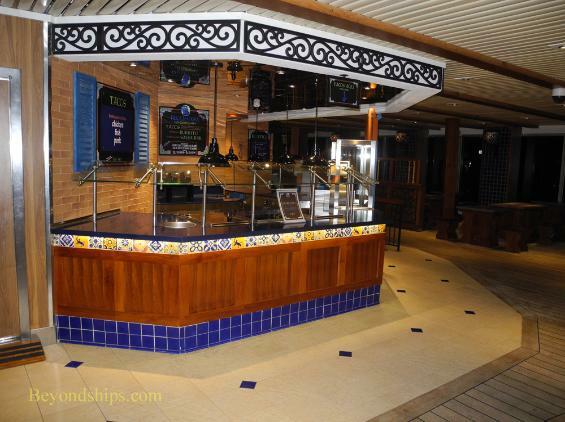 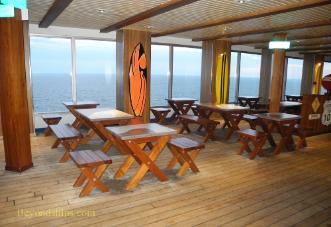 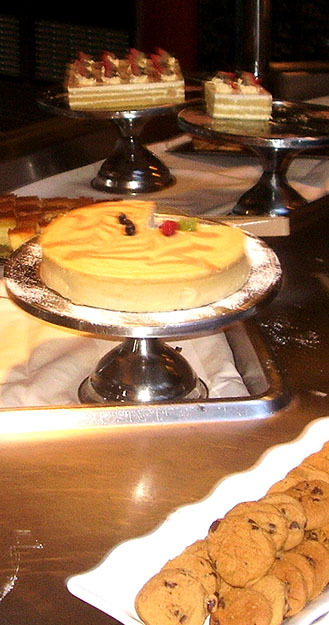 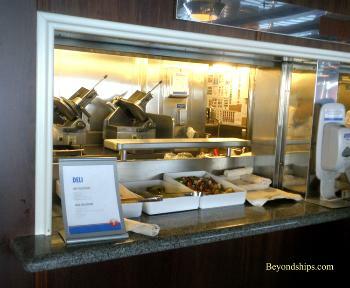 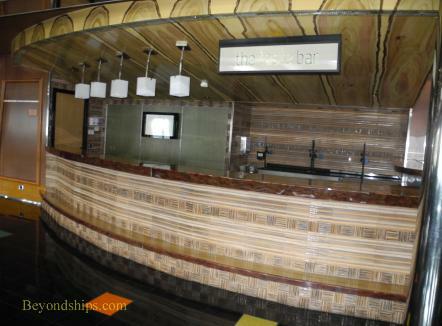 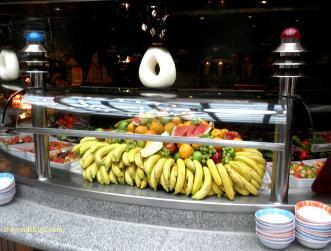 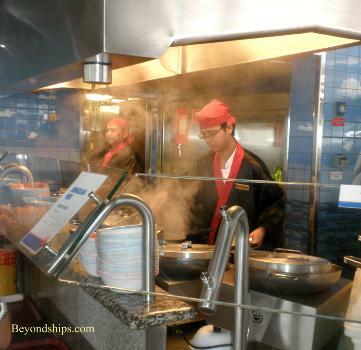 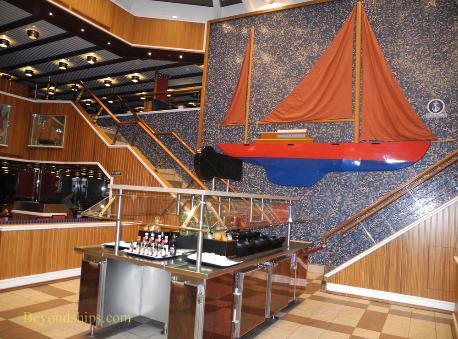 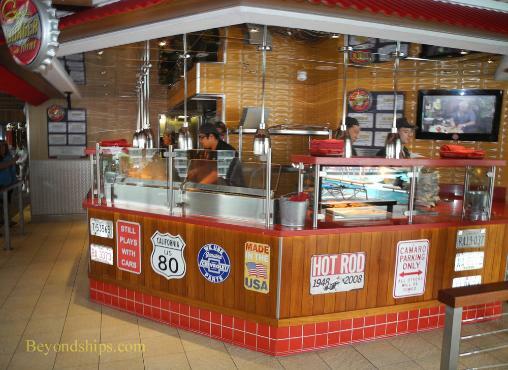 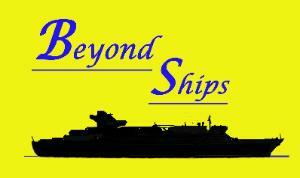 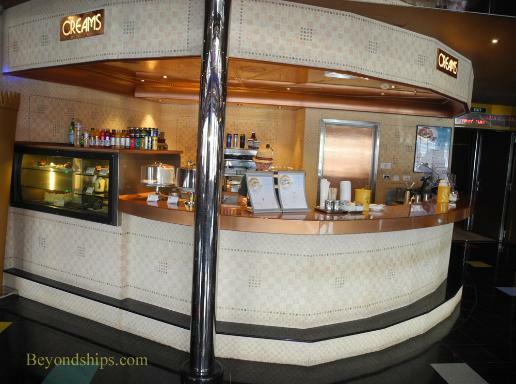 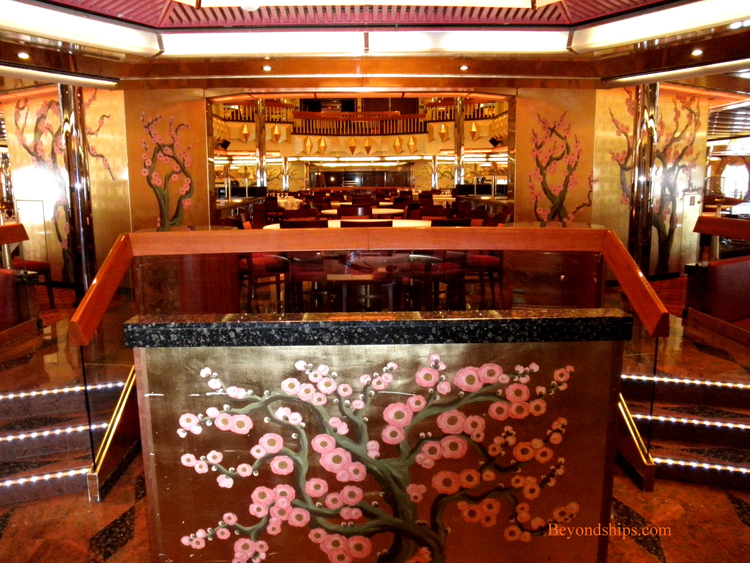 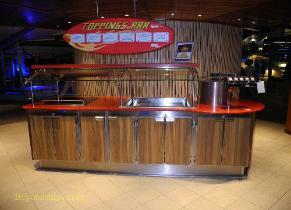 There are two smaller eateries on the ship's indoor promenade. only has windows on two sides. in the Platinum Dining Room. restaurant is open. 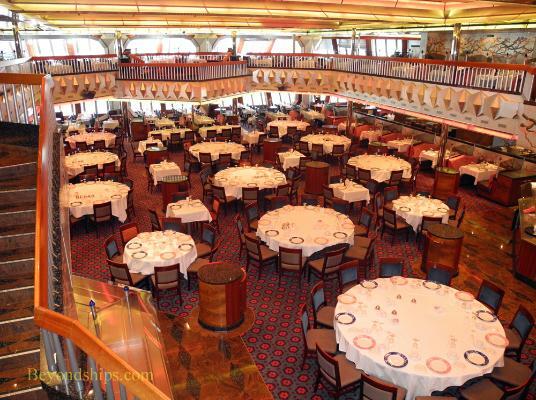 There are no assigned tables. 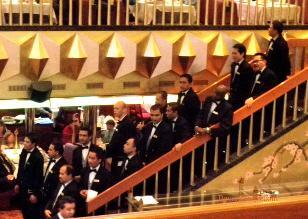 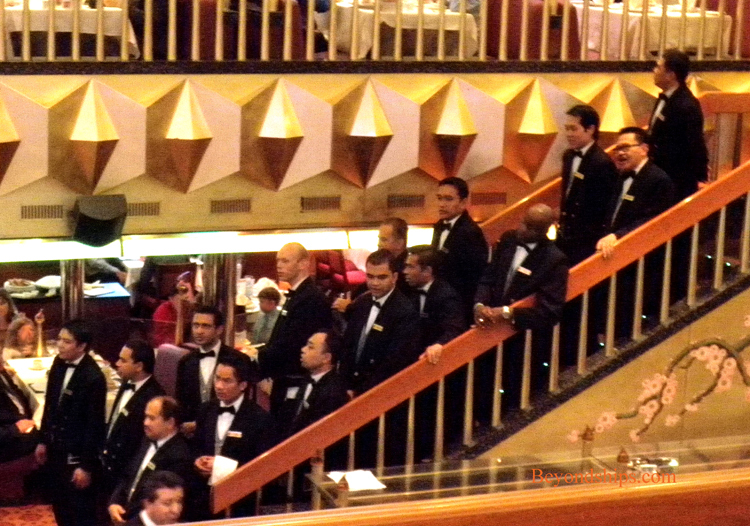 In both dining rooms, the waiters sing and entertain.